UPDATED Dec. 19, 2018, at 5:39 p.m.: The fallout continues from former luxury home developer Woodbridge Group of Properties’ alleged fraud scheme. The announcement marks regulators’ latest action against Woodbridge and its affiliates, which the SEC last year charged had operated as a $1.2 billion Ponzi scheme. In December 2017, the SEC charged company CEO Robert Shapiro with misleading investors. It said he would promise investors high returns on their investments, specifically luxury spec homes, only to then channel their money into several different entities he controlled. He would then use new investments to pay off older ones, authorities said. Woodbridge filed for bankruptcy the same month the SEC brought charges. Prior to its fall, the real estate investment firm acquired several prime residential properties in Los Angeles, Hidden Hills neighborhood, and homes in Bel Air, Beverly Hills and Holmby Hills. On Wednesday, the SEC said the 13 former sales agents charged were among Woodbridge’s top revenue producers, having sold more than $350 million of its unregistered securities to more than 4,400 investors. The commission is seeking court-ordered injunctions, the return of allegedly ill-gotten gains and financial penalties. In its latest actions, the SEC charged Jordan Goodman, Robert S. “Lute” Davis, Jr., Donald Anthony Mackenzie, Alan New, David Knuth, Aaron Andrew, Jeffrey Wendel, Randy Rondberg, Richard Fritts, Marcus Bradford Bray, Gregory Anderson, Claude Steven Mosley, Gregory Koch, and their companies. According to the complaints, the sales agents marketed Woodbridge securities as a “safe” and “secure” investment and collected millions of dollars in commissions on their sales even though they were not registered as — or associated with — registered broker-dealers. The latest charges come four months after the SEC charged five people with similar unlawful activity. 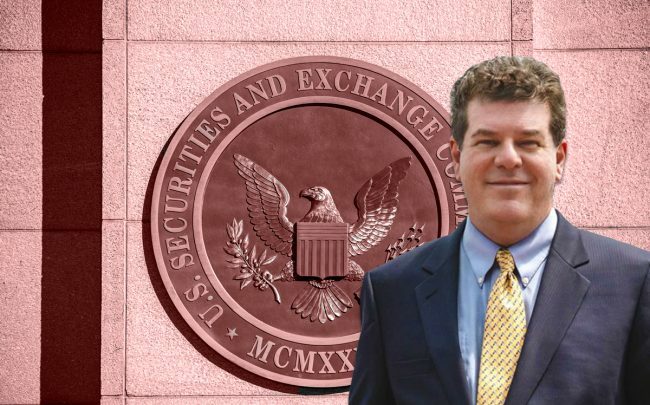 “The SEC has now charged 18 of Woodbridge’s highest-earning unregistered sales agents who sold more than $400 million of its securities to retail investors,” the SEC’s Eric Bustillo said in a statement. The SEC also settled cases it had brought against several other individuals tied to Woodbridge, including Jordan Goodman, a self-described “media influencer.” Authorities charged he had touted Woodbridge without disclosing that he was paid to do so. In October, Shapiro agreed to pay $120 million to settle part of the SEC’s case. He did not admit or deny the charges. The SEC said some of its monetary claims against Woodbridge remain pending.